I had a little spend in Boots prior to my Birthday on Thursday so I had to share my purchases with you! I was fairly good and got quite a few products I've been wanting to try out for just under £30.00. As you may have seen on my blog before, I've been liking the Barry M Gelly Hi-Shine Nail Paints so I picked up a few more of those. 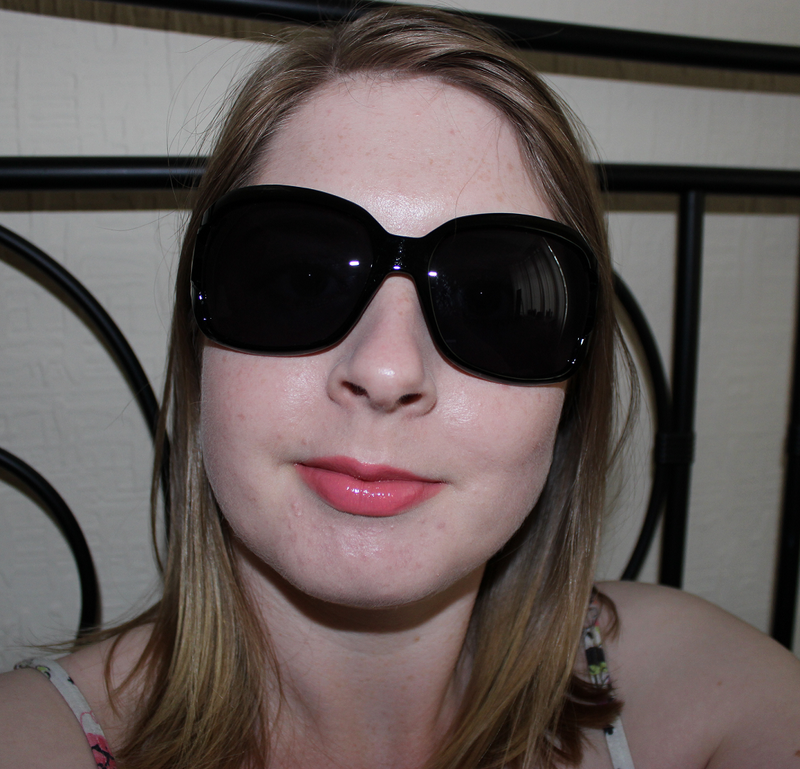 I went for Blue Grape and Passion Fruit, both lovely bold colours for the Summer. 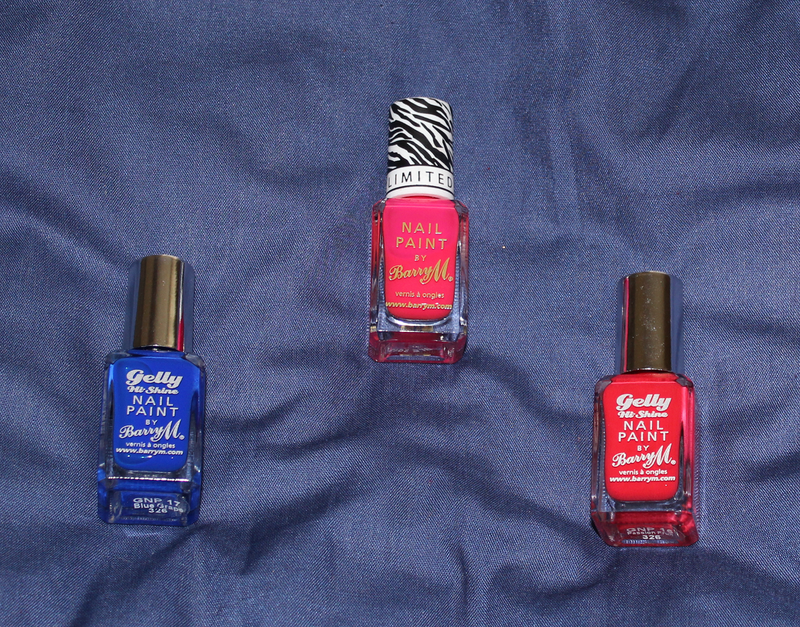 I managed to get a free Limited Edition Nail Paint for spending over £6.00 on Barry M too. There were two highlighter pen type shades, a pink and a yellow so I went for the pink as I don't have many of those in my collection (Ha! Who am I kidding?!). 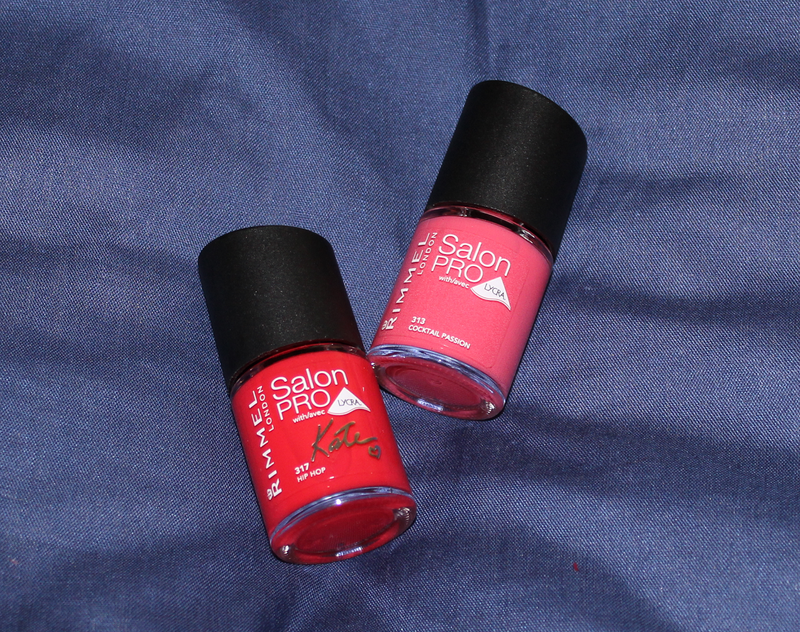 I had lusted after the Rimmel Salon PRO polishes for a while and decided to get a few of those whilst they were on buy one get one half price. 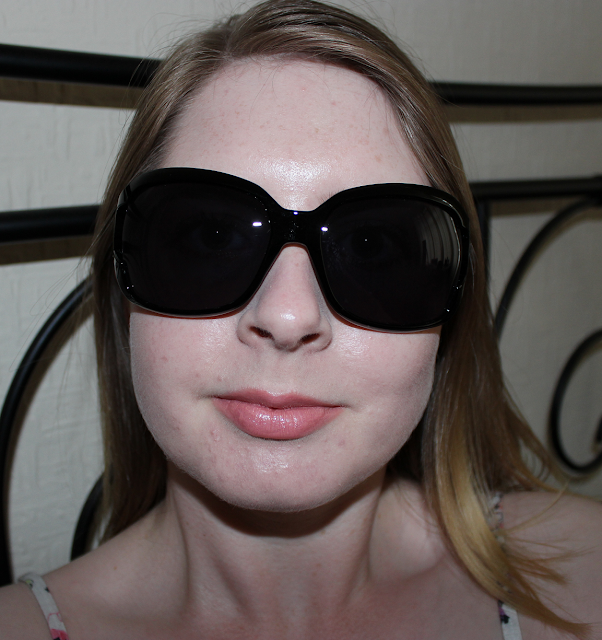 I chose one of the 'Kate' shades in Hip Hop and one from the regular line in 'Cocktail Passion'. I tried Hip Hop on Thursday night and was pretty impressed with it. I was able to get away with one coat of it and it looked opaque and shiny. 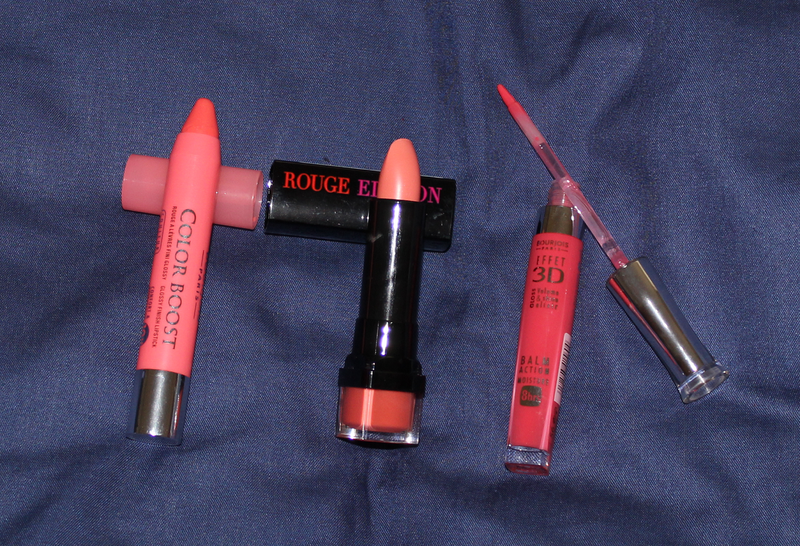 My most exciting purchase was the Bourjois Color Boost in 04 Peach on the Beach. I saw these new crayon style lip products in Superdrug about a month ago and was able to resist but I just couldn't stop wanting this shade so I HAD to have it when I saw it on 3 for 2 in Boots. It's the most perfect peachy coral shade and I love the way it's so pigmented and shiny. 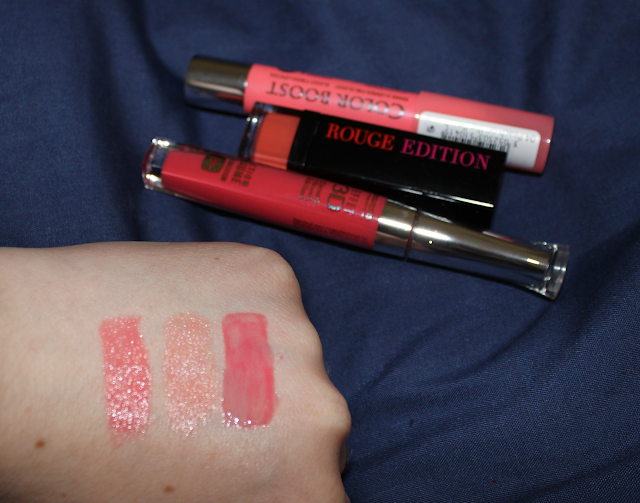 On one of the Bourjois promotion stands I saw some beautiful new shades of their Effet 3D Glosses and the shade 56 Rose Dynamic really stood out to me. It's another coral colour and it seemed ideal for my birthday night out. This lipgloss is so nice to wear as it has a balm finish rather than being sticky. It's fairly pigmented for a lipgloss and to top it all off it's got a gorgeous rosey scent too! When Bourjois brought out their Rouge Edition lipsticks a while back I wasn't too bothered about them but whilst on my peachy lip mission, I spotted the shade 19 Corail en Vogue and I thought it would be a great chance to try something new. It's got a nice formula in the way that it glides on smoothly and doesn't seem drying but due to the shade I chose, it can look a little patchy on the lips and show up any uneven skin. I'm looking forward to trying this again when my lips are in better condition. 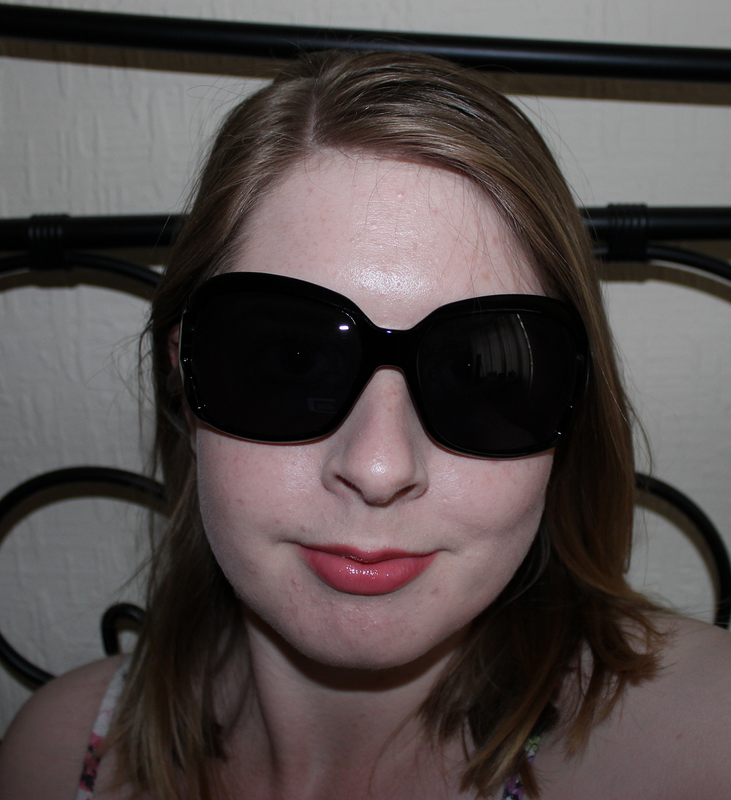 As if the 3 for 2 deal on Bourjois wasn't enough, they are also offering a free pair of sunglasses with this deal too. 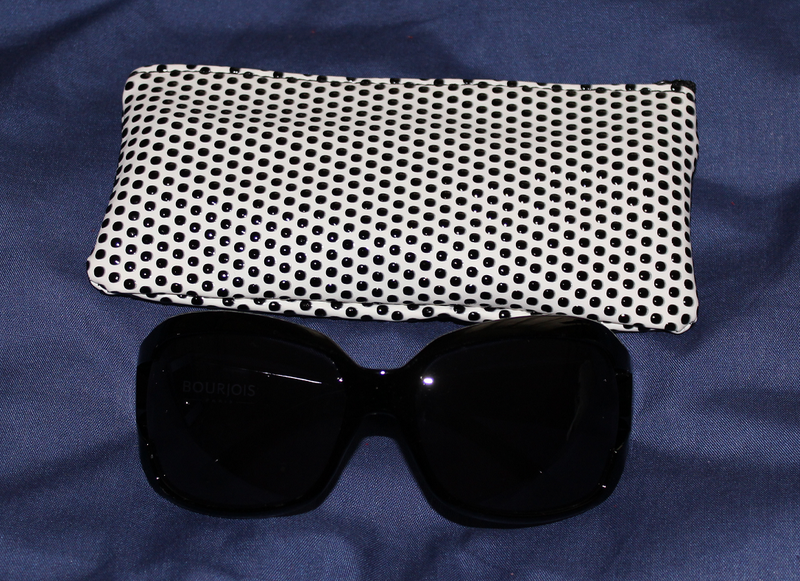 They are actually quite nice and you get a spotty case with them as well.